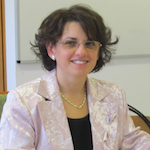 Ildiko Szabó teaches Linguistics, Methodology of Mother Tongue Education, English Grammar, American Literature and Civilization at the University of Kecskemét in Hungary. After obtaining her PhD in Linguistics, she got engaged in in pre-service and in-service teacher training. Ever since then, she has served as a primary school principal and has also gained experience though her participation in many European and international projects (CulTiFoLa, pri-sec-co, MOLAN, INTACT, AduLet, ADORE, BaCuLit, ISIT, ELINET, BleTeach). Her basic fields of research are literacy education, early language teaching, CLIL method and bilingual education.